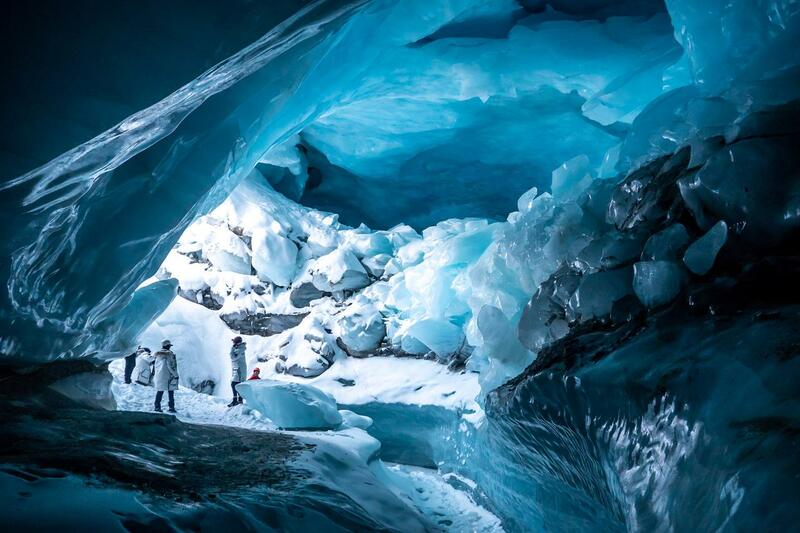 Journey to the natural ice cave formations of the ancient glaciers. Explore caverns aglow an azure blue, witness their vaulted ceilings and myriad of magnificent crystalline formations. Your guide will provide an interpretive tour of the glacier, the ice caves, and along the breathtaking helicopter flight through the endless mountain landscapes.